Over the years, television sets have become a staple in every household as it is a great source of information and entertainment for the family. They have also come a long way from being big, bulky boxes—nowadays, manufacturers make their displays as thin as possible to make mounting a piece of cake. However, having a huge black void on your wall is not a pretty sight. Yes, you can decorate around it to mask the size but at the end of the day, it would still be there. 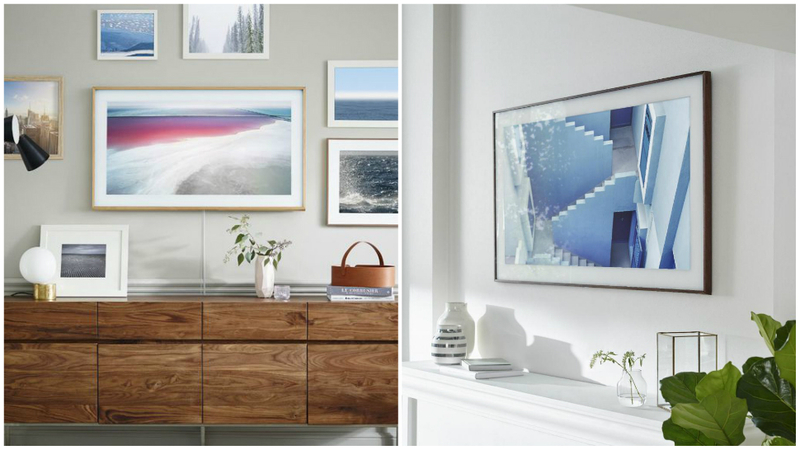 Lucky for us, Samsung teamed up with Fuseproject to create The Frame or a TV that transforms into wall art at the click of a button. Samsung The Frame is a regular 55in or 65in UHD TV with a wooden frame (you can choose from oak or walnut wood pieces) which attaches magnetically to the screen. Instead of turning off your TV after watching your favorite show, you can switch it into art mode where you can choose from more than 100 pieces of art ranging from landscapes, street art, and architecture. The illusion of this being a regular picture is achieved because it sits flat to the wall, thanks to a thin wall mount matched by a recessed area at the back of the TV. What a unique way to spruce up your gallery wall, right? The TVs are due to be launched in a couple of months and though they have no prices yet, we can already tell that we’re excited to bring one home!